I am wrapping up my final Princess Cruises blog post on my full experience on this cruise ship. It has been an amazing journey but I am glad to be finishing up this final post. The final night we headed to the Farwell Cocktail Party. 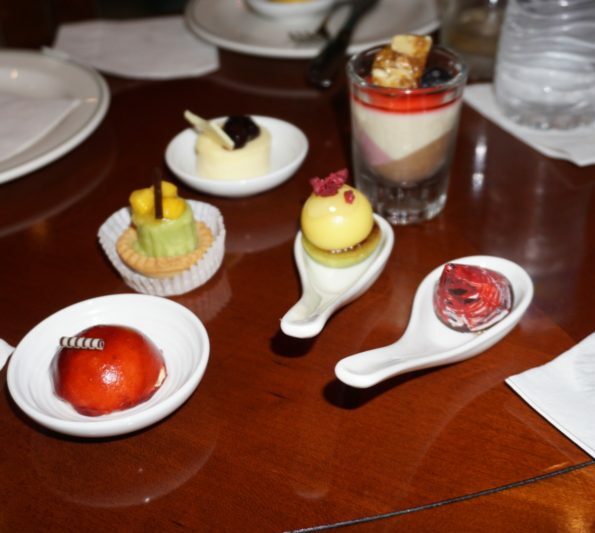 The closing party was filled with delicious appetizers and yummy desserts (pictured above). Both stunning and tasty. Following the Cocktail Farewell Party we headed to The Salty Dog Gatropub. 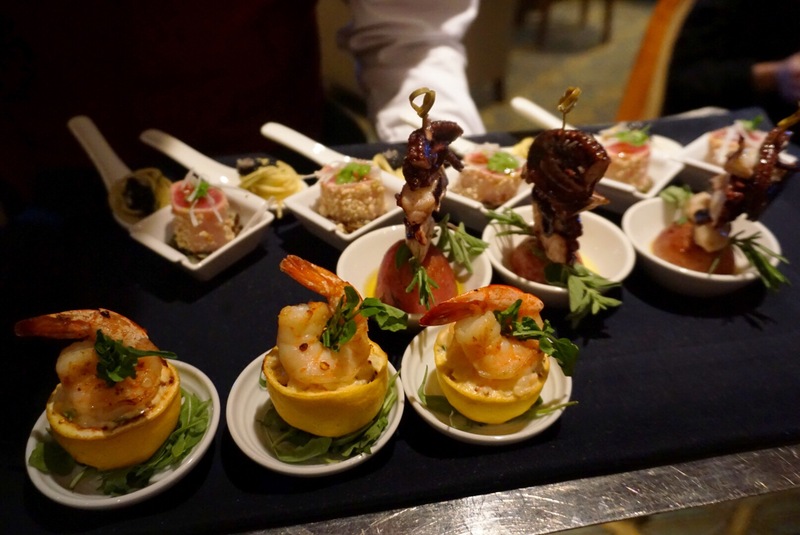 The Salty Dog Gastropub experience at the Wheelhouse Bar are available aboard select ships. Offering a pub style atmosphere to share distinctive dishes, raise a toast with drinks from around the world and enjoy live music on select nights. 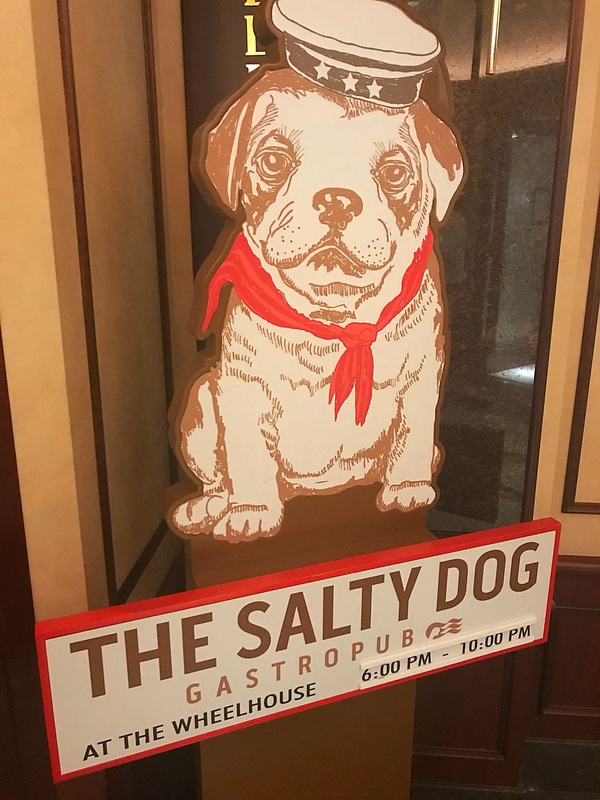 What is the Salty Dog? “Salty dog 1. nautical slang for an experienced sailor who has spent much of his life aboard a ship at sea 2. a salty dog is often given increased credibility by ship mates in matters pertaining to ship-board life and duties”. The Salty Dog is a casual restaurant that serves small plates with big temptations. The dining experience began with the Ernesto’s Dip Sticks. 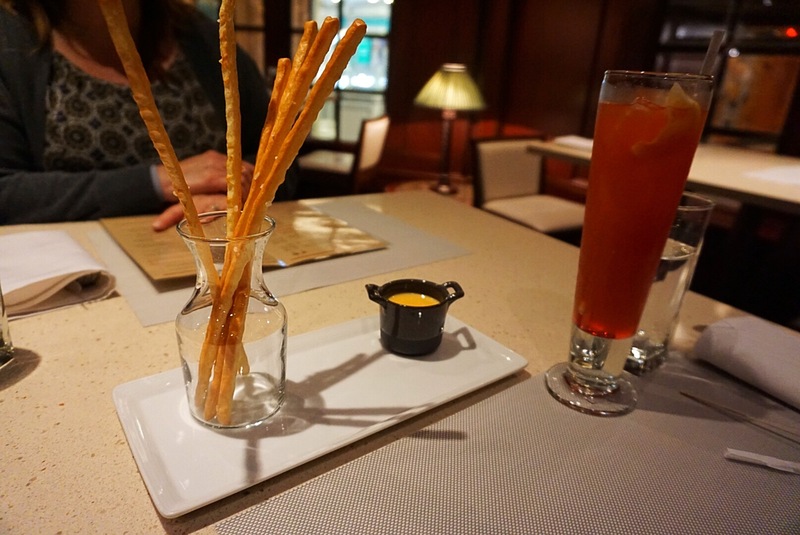 The Ernesto’s Dip Sticks from Chef Uchimura are crunchy bread sticks paired with beer-cheddar fondue and finished with flaked smoked salt. The complimentary sticks were beautifully presented. The cheese was yummy. We ordered a few different items from the menu so we could try everything that this delicious spot had to offer. Below you will find some of those items. 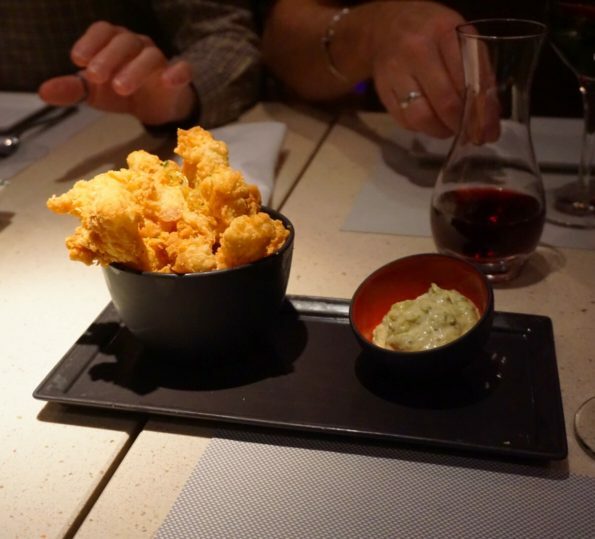 The Wild Caught Calamari Fries, ale battered, corn meal crusted, served with tartar sauce. 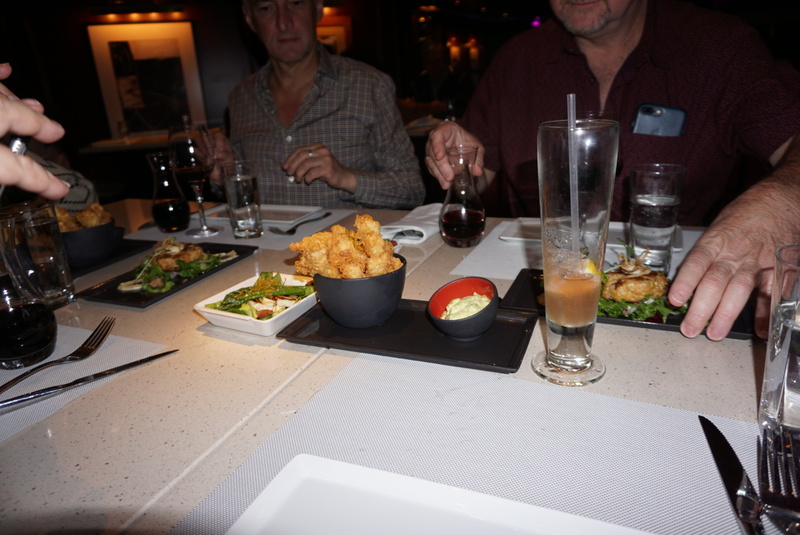 The fried calamari fries were delicious and tender. Pictured above is the Charred Asparagus and Toasted Haloumi Cheese finished with lemon shallot vinaigrette served on a bed of lettuce. 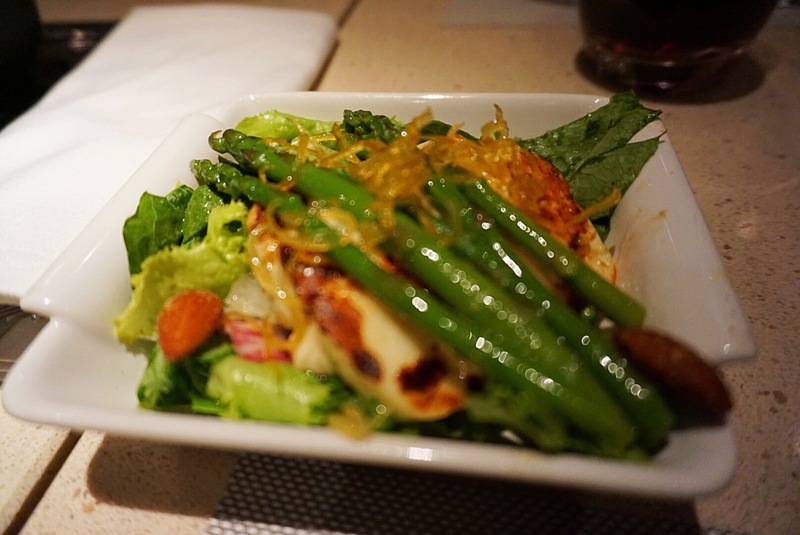 The toasted haloumi cheese with the asparagus was a delicious bite. Really good. Maryland Style Jumbo Crab Cake with Old bay spices with a roasted garlic remoulade. 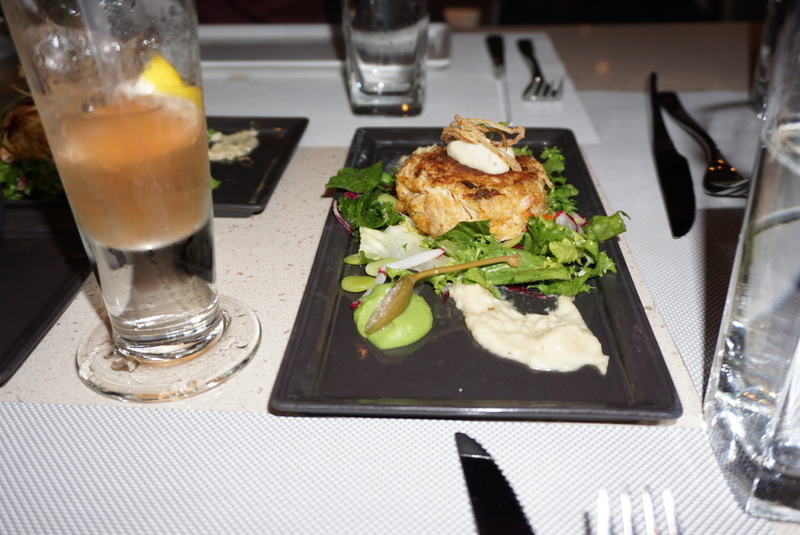 The crab cakes were flavorful but the presentation needed a little help. 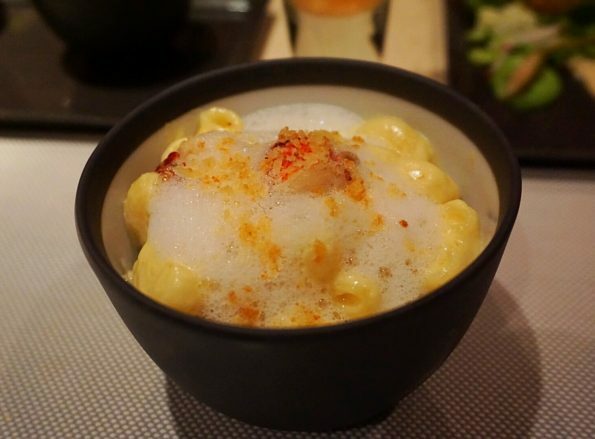 Lobster Mac n Cheese with aged cheddar, gruyere and parmesan, truffled cream and crispy crumble. This dish had an interesting look, but the lobster mac was superb. Served with chunks of lobster in a creamy mac n cheese. 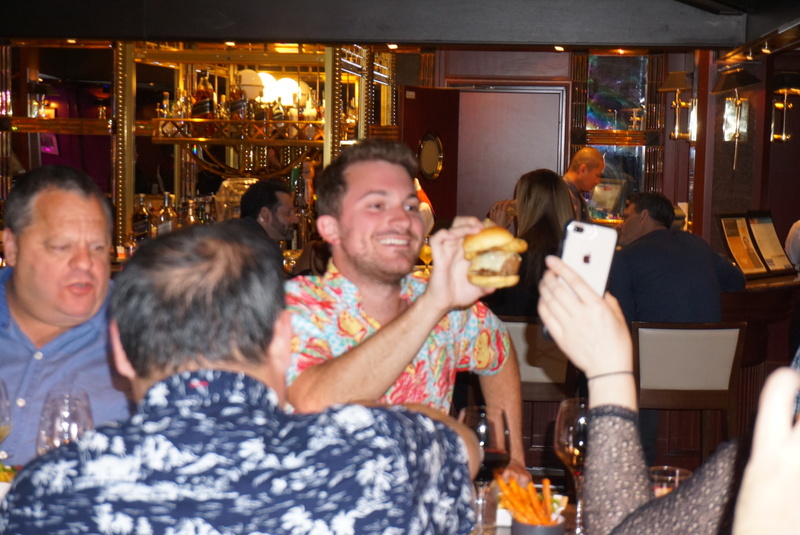 The Ernesto Burger, made from fresh ground rib eye and short rib patty, topped with grilled pork belly, caveaged Gruyère, caramelized kimchi beer battered jalapeño, charred onion aioli, smoked salt & pepper brioche bun. Served with Truffle-Parmesan. The burger was delicious. All the ingredients and toppings seemed a bit excessive but I have to say, everything worked well together. 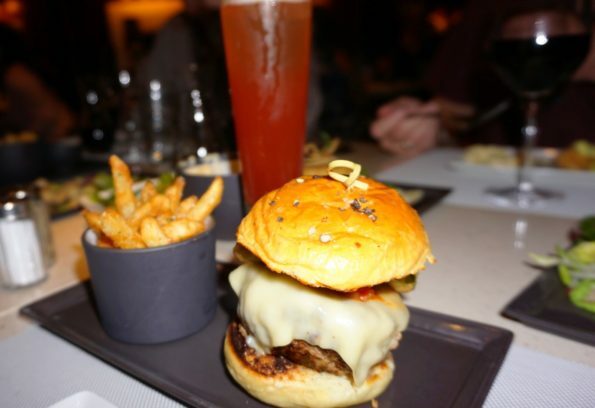 A really good burger. Everyone anticipated the Ernesto Burger. A great choice. 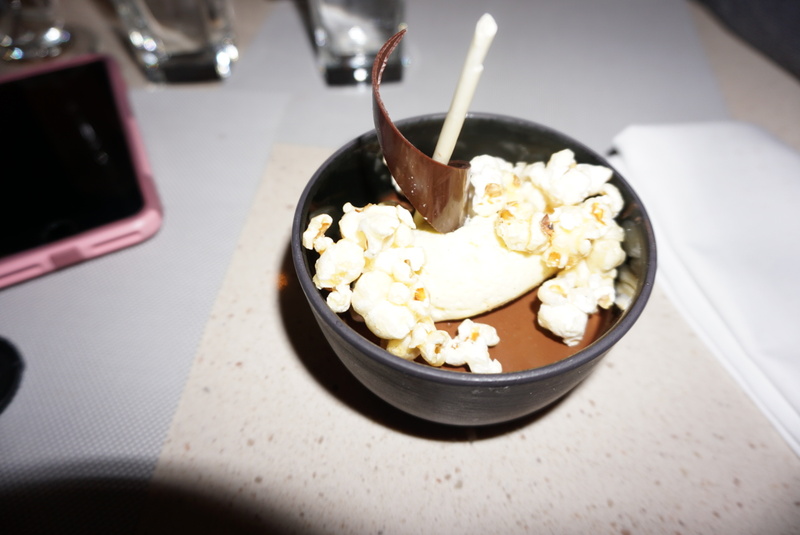 The desserts were both creative and visually appealing. 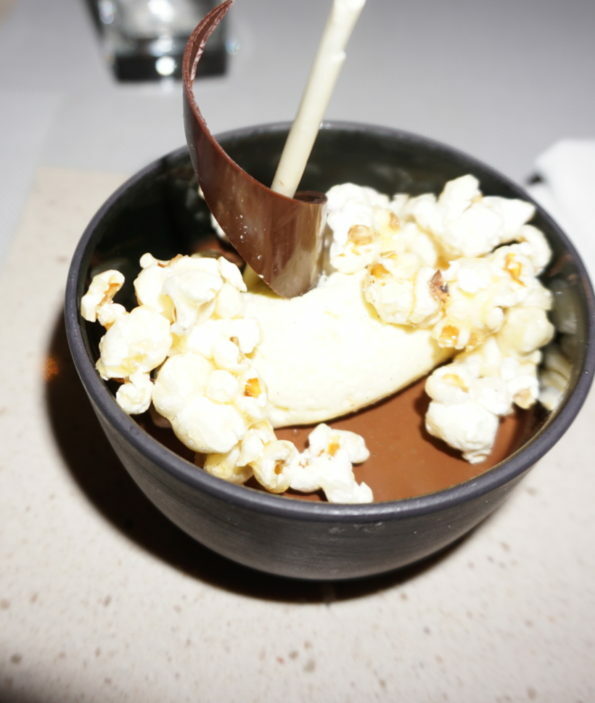 Pictured above is the Bourbon Chocolate Pot De Creme served with Salted Caramel Popcorn. This dessert was superb. Salty and sweet and was spot on! Coffee & Doughnuts dessert, not what I thought it would be but it was superb. 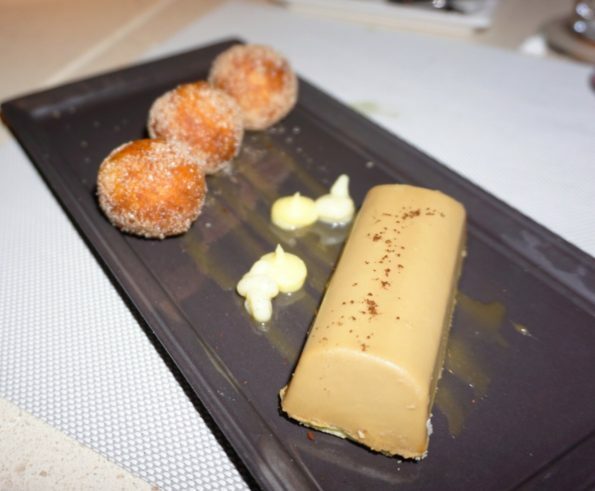 An Espresso mousse with cinnamon and sugar doughnuts. Overall we enjoyed our close out dinner at the Salty Dog. The food was spot on, flavorful, interesting and delicious. 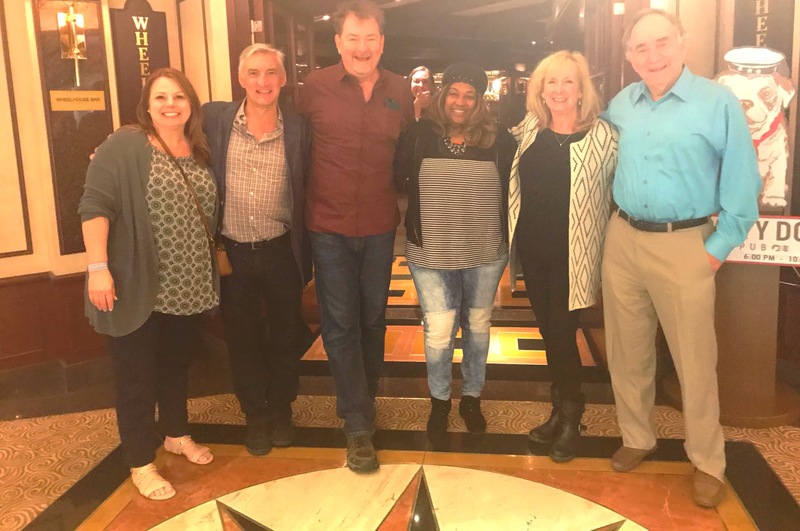 I met some amazing Writers, Bloggers and Influencers during this trip. I wish I would have taken pictures with some of the others. I learned a lot from these writers and I hope to see some of them real soon! 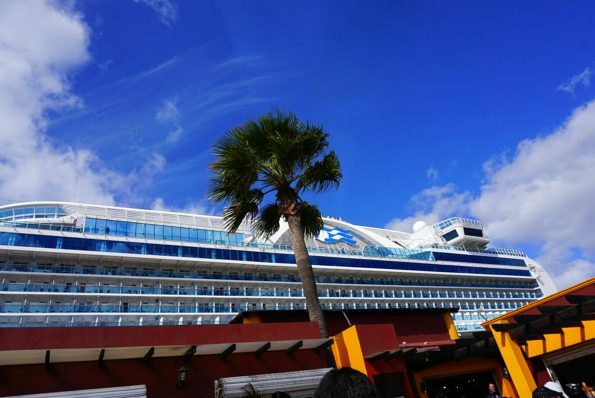 Thanks to Princess Cruises for having me, it was amazing and I look forward to cruising again.